The chart is basically, self-explanatory, but let’s review it anyway. During the last two years–the second half of Obama’s term, so let’s forget about George W.–the population of the U.S. has grown by 2.20%. Jobs have failed to keep up, as the labor force has grown hardly at all, only 0.88%. 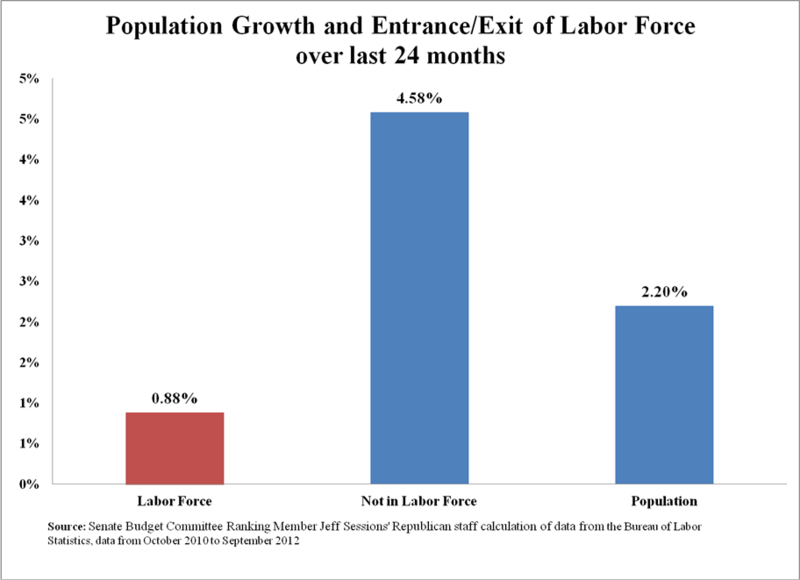 What has grown–and this is the true legacy of the Obama disaster–is Americans who are not in the labor force, up by 4.58%, more than double the rate of population growth. Obama likes to talk about what a mess he inherited from his predecessor. In fact, his successor will inherit something far worse. With millions of Americans chronically unemployed, millions having left the labor force, millions having declared themselves permanently and totally disabled because they can’t find jobs, the next president will face an unemployment problem that is far more deeply entrenched and intractable than the one that Obama confronted and bungled.